Many women don’t know the warning signs of these diseases and they don’t know how important it is to make lifestyle changes and take actions that protect their health. But they may also be more vulnerable because they are under-served on the medical front lines. Because some doctors and other health care professionals don’t see women as being at high risk for heart disease and stroke, they may not refer them to treatment as quickly, or as often, as they do for men. New studies indicate that women are referred to a cardiologist following a heart attack less often than men, and women have higher in-hospital mortality rates after a heart attack. They are less likely to be transferred to another facility for treatment, less likely to undergo cardiac catherization or revascularization, and they receive life-saving procedures such as coronary artery bypass surgery and angioplasty less frequently than men. You can help effect a change in women’s risk profiles by educating them about their risks and by helping to ensure that they have equal access to the treatment they need. Are you ready to go the extra mile for women’s heart health? Become a heart health leader in your community and share the truth about heart disease and stroke. It’s easy to organize and lead a presentation on The Heart Truth that targets women with a message they need to hear. The Heart and Stroke Foundation provides everything you need, including speaker’s notes, a PowerPoint, a DVD and handouts for your audience. Find out more about setting up a presentation in your community. Share the truth about heart disease and stroke with your colleagues in health care. Despite the tremendous advances in heart disease and stroke prevention and treatment, women are often under-treated because these diseases are still seen as “men’s diseases,” even by health care professionals. Share the truth with your colleagues by making them aware of this website as a resource available to them and their patients. Share the truth with your patients. Awareness is the key to saving women’s lives. You can pass on important information to your female patients about their unique risks for heart disease and strokes by downloading a printable PDF of the brochure for patients. Heart disease and stroke is a leading cause of death for women in Canada, killing seven times more women than breast cancer. Women are less likely than men to believe they’re having a heart attack or stroke, and more likely to delay treatment, putting their lives at risk. The Heart and Stroke Foundation is working together with our sponsors to empower women like you to learn the truth about heart disease and stroke and share it with others in your community. 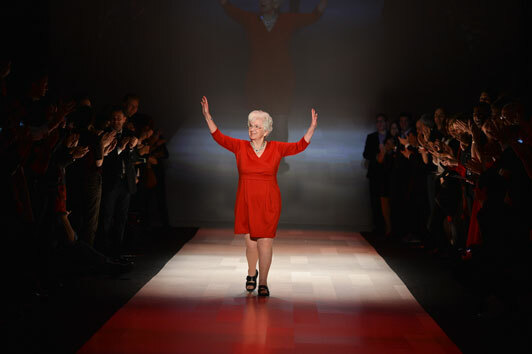 Many celebrated Canadians have shared The Heart Truth by bringing the symbol of the Red Dress to life at our annual Heart Truth Fashion Show. To celebrate the fifth anniversary of our campaign, we embarked on a new creative venture, where we collaborate with artists to share their vision of The Truth. We hope you enjoy exploring the first installment of this creative collaboration….